A Kaiju Mk. I transformable strike fighter practices using its transformable systems to rapidly brake by swinging its engine nacelle/legs forward, reversing the direction of its thrust without needing to turn the spacecraft end for end. 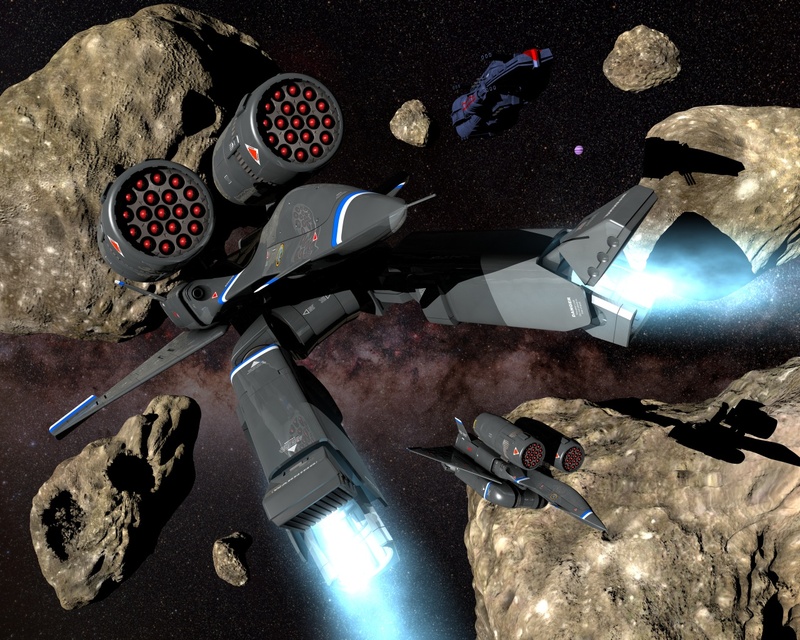 Seen during exercises in the Solomon star system's Beta asteroid belt, the Kaijus shown are equipped with multiple unguided rocket pods, one of the many modular weapons systems capable of being mounted on the Kaiju mecha to greatly increase its firepower. The Kaijus' mothership, the CSS Constitution, can be seen in the background.